NOTES After the school’s demolition, three houses were built on the site. 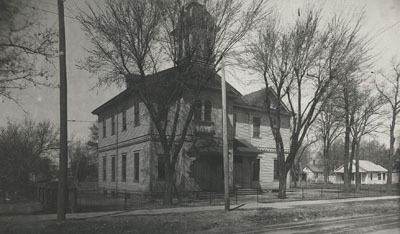 One of those houses has a small sign in their garden next to the front steps that read, “former site of the Greeley School.” Not much else is left of the old school; a clock from the school hangs in the Warden’s House Museum and a few photos of the school and classes dot the occasional history book of Stillwater. Student memories and teacher records have been difficult to find. 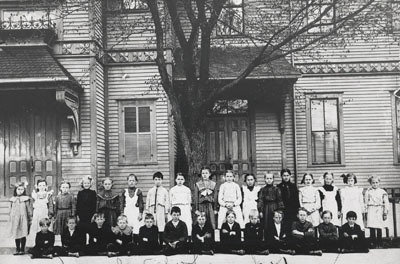 Greeley School students in circa 1910.